to promote health and fitness, camaraderie, and competition through the sport and culture of dragon boat racing. The Los Angeles Pink Dragons was formed in 2003 through the support of Diane McCabe, a breast cancer survivor and member of the Los Angeles Racing Dragons. 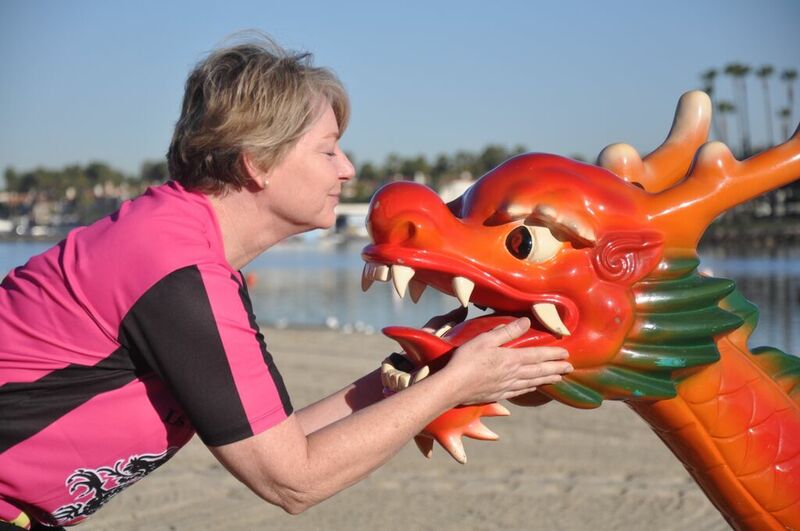 A remarkable woman in countless ways, Diane had a vision of a team of breast cancer survivors coming together to paddle a dragon boat in the beautiful waters of Alamitos Bay in Long Beach, California. She began to work with Team Survivor LA to recruit a core group of survivors. Through their efforts, the Los Angeles Pink Dragons was born. 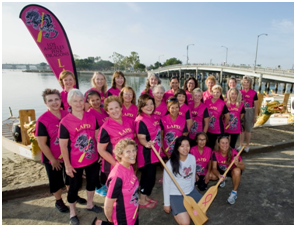 We are a diverse group of women of varying ages and experiences who come together on the water to improve our physical and emotional well-being and to compete in the sport of dragon boat racing. On the water, we work hard to improve our individual techniques, paddle in synchronization as a team, and focus on our goals and success. On land, we stretch and warm up as a team, as well as pursuing our own individual fitness goals. Together, there is always fun, laughter, and support for each other, and encouragement for new members. The Pinks are always welcoming to new paddlers. 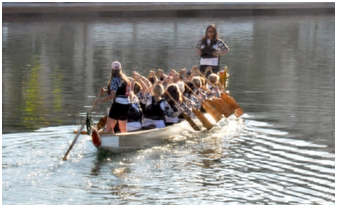 To learn and perfect the techniques of dragon boat paddling takes dedication to training both on and off the boat. Each paddler is encouraged to engage in exercise programs outside of paddling. We train together and individually to continuously improve our personal and team performance. If forging new friendships, working hard to achieve your physical and mental best, and experiencing the thrill of accomplishment and success is for you, then please come paddle with the Pinks! The Los Angeles Pink Dragons is a 501(c)(3) charitable organization under the auspices of Los Angeles Racing Dragons. Donations are tax-deductible as allowable by law.